Facet provides an infrastructure that supports and manages effective newsroom collaboration. They won the ‘work together’ battle of our Startups for News competition and will pitch at the GEN Summit 2018 in front of over 750 industry leaders. What did you do prior to launching Facet? I started my journalism career in Juneau, Alaska, where I worked in public radio and television at KTOO Public Media. My roles have always been on the digital side of newsroom operations. The challenge of how to facilitate collaboration and coordination within and between newsrooms has long been a part of that. In 2016–17, I was a John S. Knight Journalism Fellow at Stanford where I researched how to make editorial collaboration easier and more effective for newsrooms. What problem are you trying to address for newsrooms? Newsrooms have to be able to work together effectively and efficiently. Facet provides the infrastructure and ecosystem that makes that work possible. Organisations that collaborate and partner— and there are more and more every day — are finding themselves scrambling to cobble together vaguely passable toolchains to facilitate their work. At the same time, the largest and most resourced organisations are attempting to build custom, proprietary systems. We need a common shared infrastructure to connect with each other, that is always available and flexible. How are you attempting to solve the problems described above? Facet is a platform where organisations can quickly establish partnerships and have a shared workspace and tools. Facet is both an editorial and a management workspace. It facilitates the creation and editing of content, and the association of rich media, while also managing details, resources, documentation, and engagement associated with editorial work. What sets you apart from your competitors? List three elements. 1. Facet isn’t about competing with other platforms that do bits and pieces of the functionality required to create editorial content. The fractured ecosystem is our challenge: Facet is about creating shared workspaces and incorporating the best features via native functionality in the app, APIs, and access to other open source projects. Ultimately, it’s about creating a catalogue of services and functionalities to be available to users as they work together. 2. Facet is collaborative both in the projects that are created and managed on it, and in its development and roadmap for features to ensure that it stays relevant for the needs of users. 3. Facet is open source so that users and organisations can contribute back to the project and everyone benefits from shared innovation. Facet will be supported through a variety of subscription options, memberships and eventually, licensing commissions as well. Our priority is that there are enough options that the platform is affordable to a wide range of diverse newsrooms. Our intent is a diverse stable of revenue streams that contribute to Facet’s overall stability and longevity. 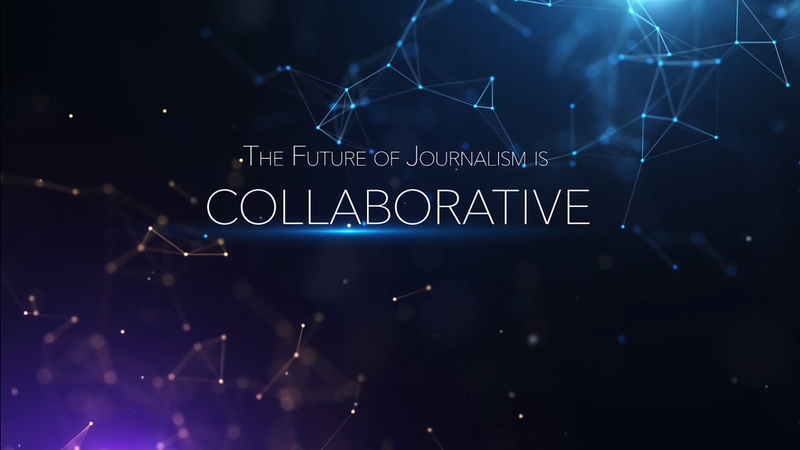 The platform currently facilitates many newsroom collaborative partnerships. Soon, the platform will facilitate the management of contractor talent networks, as well as collaborative partner discovery. The overarching vision of Facet is that it will be the shared workspace that facilitates all manner of partnerships between newsrooms: newsrooms and freelancers, and newsrooms and non-newsroom partners. With Facet, they are given a catalogue of tools and functionalities that partnerships can incorporate into their workflow according to the needs of the project. The Global Editors Network is an international association reaching 40,000 media executives. Our aim is to foster digital innovation in newsrooms.